When Autumn Leaves are Falling. That's the time of all the year that is most dear to me. Courting in the moonlight by the old toll-gate. 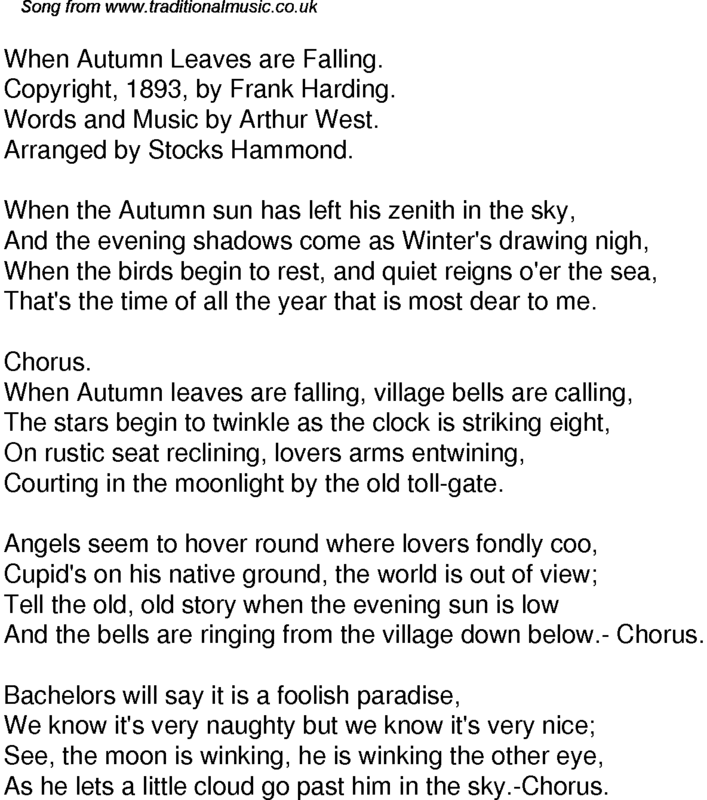 And the bells are ringing from the village down below.- Chorus. As he lets a little cloud go past him in the sky.-Chorus.